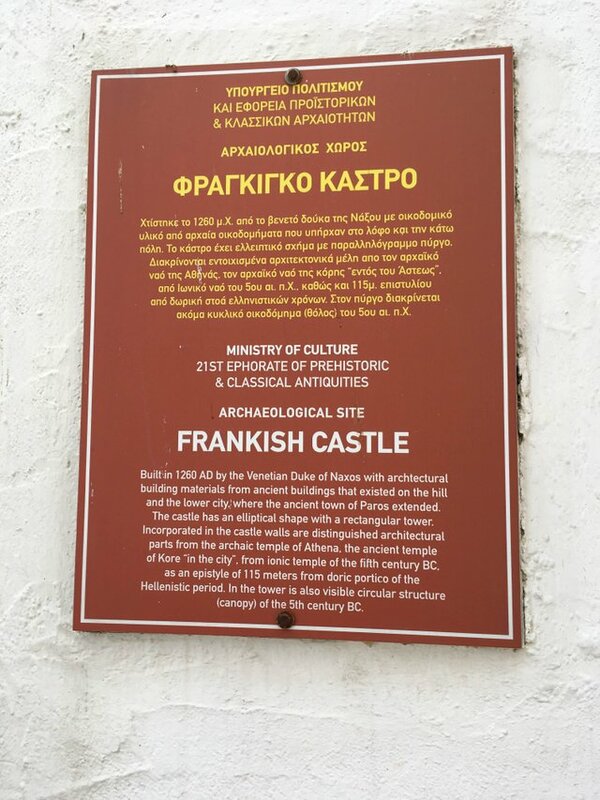 The Frankish Castle in Paros, Cyclades, Greece, built in the year 1260 from ransacked remains of ancient Greek mythological temples and buildings, was the site of my recent travel destination contest. A total of 4 steemians took part in the @steembasicincome giveaway by attempting to guess my location in the world. @newageinv and @olivia08 were the first two steemians to guess. Within 5 minutes of posting the contest, both NAI and Olivia had guessed the correct country— not too shabby! But I was looking for a more specific answer, so both tried again. Some great guesses from these two very valuable community members included Mykonos and Serifos, Cyclades, Greece. The winner of the contest, however, was @schach !! The correct destination for my travel contest was Paros, Cyclades, Greece. @schach was the first person to get it correct, so he will be receiving 2 SBI unit shares for this correct response. Way to use the hint, and the other comments in the thread to your full advantage!! If you want to earn easy, free SBI shares, follow my page for more noncommittal contests like this!! Thanks! It is always great to spread the love! I would be lying if I said you weren’t inspiring me to do so ..